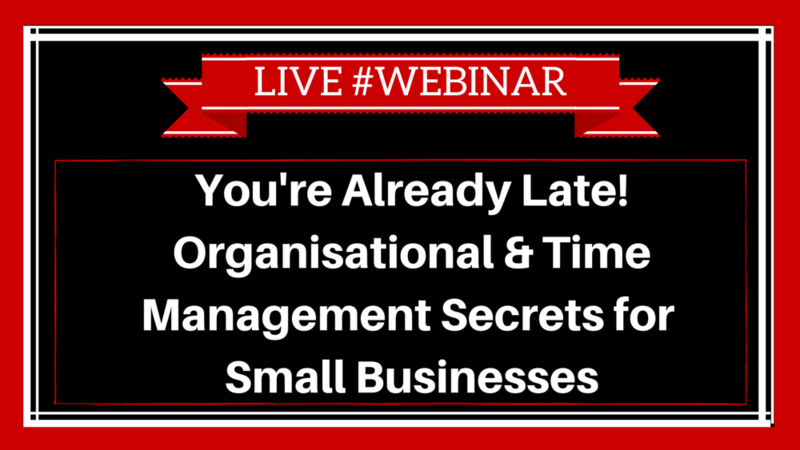 In this 1 hour live webinar you will learn that, poor time management isn’t cured by technology – it’s probably aggravated by it. It doesn’t matter how smart your phone is if you are overwhelmed and unfocused. People waste 6 weeks per year searching for lost documents. That’s £8,000 lost for every £100K. As a small business owner, the lost opportunity costs are even greater. We’re interrupted every 8 minutes and it takes 23 minutes to recover—no wonder you have to work 12 hours to get 8 hours of actual work done. Break free from bad habits, constant chatter and get the big work done now—“someday” doesn’t exist and “later” never comes. There are simple, sustainable ways to work smarter, not longer. Andrew Mellen, “The Most Organised Man,” will show you how to squeeze the most out of every minute without having the life squeezed out of you.